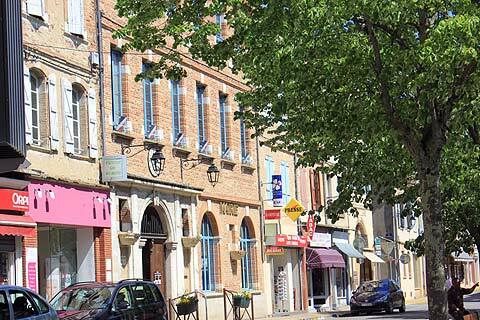 Beaumont-de-Lomagne is in the department of Tarn-et-Garonne close to two of the most beautiful villages of France: Sarrant at 13 kilometres and Auvillar at 22 kilometres. 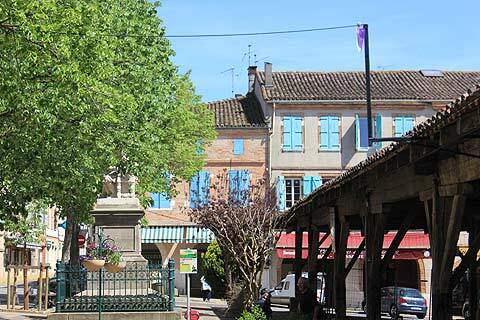 It is a bastide town built in an attractive mix of brick and stone and dating back to the 13th century. 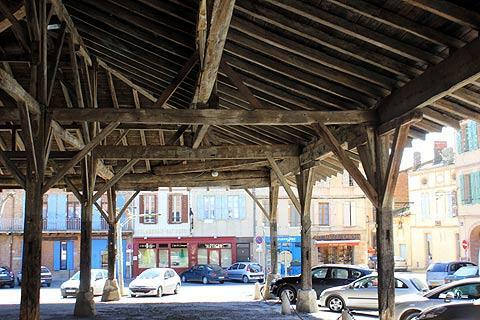 The town of Beaumont-de-Lomagne was founded in the 13th century and its main square, the Place Gambetta, is still dominated by a large wooden market hall built in the 14th century. Surrounding the market hall are attractive medieval buildings built of brick or stone and some of them with attractive arcades. France This Way comment: every Saturday morning the weekly market takes place under cover of this large open-sided hall and this is the most lively time to visit the town if possible. You will also see the Hotel dit de Chartreuse with its large lumps of stone to protect it from the horses and carts in the streets and the Hotel Vernhes which has large lumps of stone sticking out from the building to help people to mount their horses. 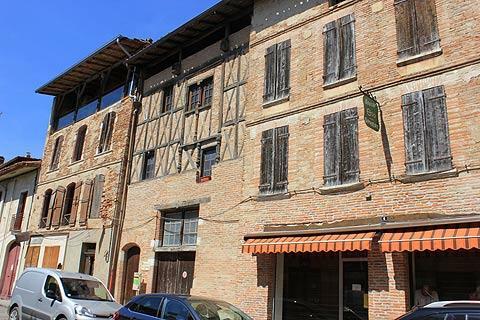 The Hotel Pierre de Fermat on rue Fermat is now home to the Beaumont-de-Lomagne tourist office but was the birthplace of the famous mathemetician Pierre Fermat. 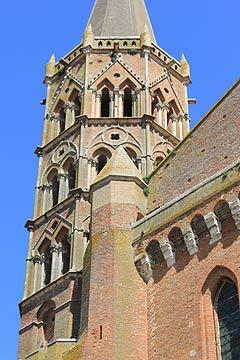 Its tower houses an exhibition of mathematical games and enigmas. Elsewhere in the Hotel Fermat there are two large 15th century fireplaces and a ceiling with the remains of some frescos and you can also get a good view across the town from here. 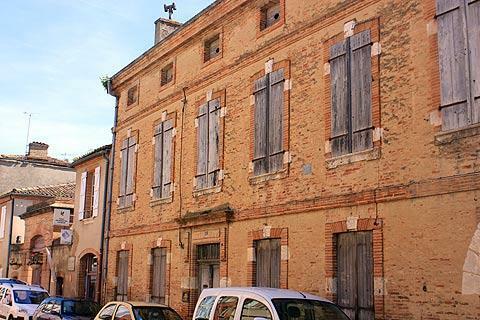 Close to Beaumont-de-Lomagne you can visit two of the 'most beautiful villages in France' at Sarrant and Auvillar. 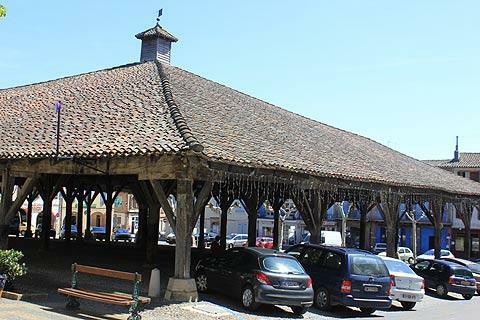 The village of Sarrant is built in an unusual circular formation and Auvillar has an unusual circular market hall at the centre of its main square.